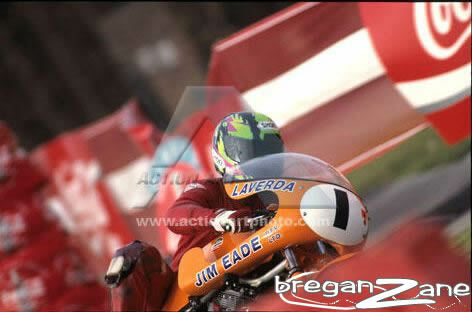 Italian Classics Racing was kicked off in 1996 by Chris Cutler. After purchasing Vic's 11,000 series 750SFC and using it on the road for a short period, Chris was inspired by the announcement of the 1996 Port Kembla TT - a "round the houses" road race through the steel town of Port Kembla, South of Sydney. The meeting would feature historic classes, including Post-Classic (1962-72) which the SFC qualified for. Chris made some inquiries via Chris Dowde and found that Ken Watson was looking for a ride. Thus, arrangements were made for the first meeting of Italian Classics Racing. The SFC was almost completely standard, the main improvement being the removal of the very heavy electrical system, a Krober electronic magneto providing the spark. 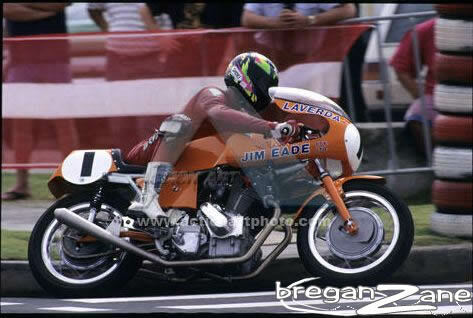 A replica fairing was fitted, which in honour of the bike's history carried the 'Jim Eade Motorcycles' sponsorship logos as it had throughout the early 70's when raced by Vic. In a nice touch, the bike carried the number 1 for its debut meeting. Ken was used to moden machinery and he found a notable absence of both power and brakes, but such trivia did not slow him down, ending the meeting in a remarkable third place. Chris will be writing his recollections of some of those early meetings for the site in due course. Sadly, in spite of being a brilliant spectacle, the event turned out to be a one-off - due to financial and safety concerns in addition to the dreaded whinging minority who love to ruin all forms of motorsport in this country. 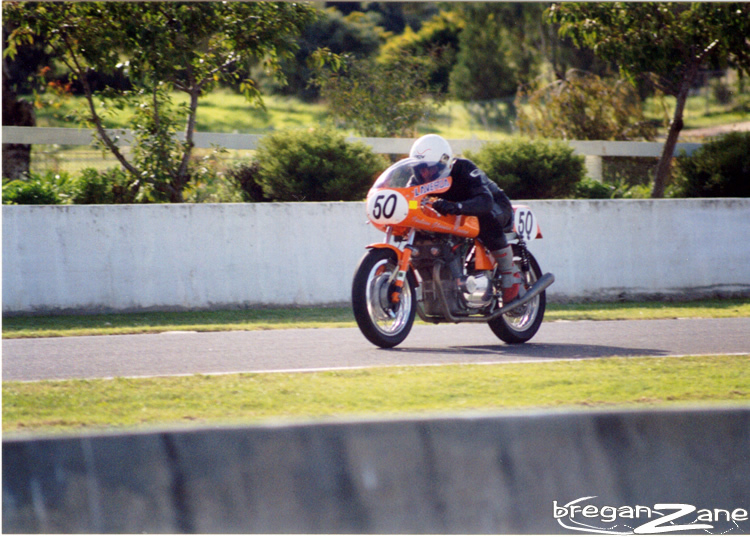 Ken was very quickly up to speed on the bike and before long was getting podium positions in BEARS and NSW championship events. It was clear however, that the genuine SFC needed significant modification to compete for wins and thus a new bike was proposed. 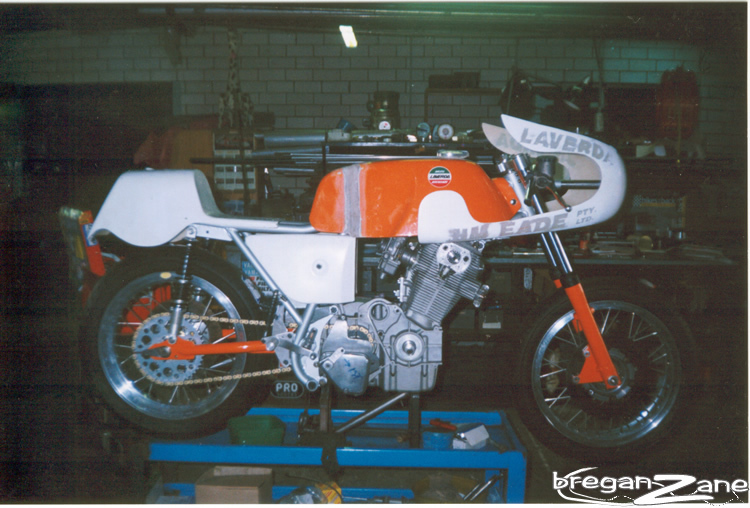 At the Goulburn workshop of renowned race bike builder Peter Campbell, a new SFC Replica was built on the basis of an SF1 frame. Peter was an integral part of the team's success and was largely responsible for the chassis work while engine development was entrusted to Chris Dowde. The whole project was brought to life by Chris Cutler's personal as well as financial input. The Replica had its first test at Wakefield Park in March of the year 2000. Apart from vibrating the battery to pieces several times it ran well and preparations were made for its debut meeting. This was the Bathurst Easter Races of 2000 and would prove to be a storming success for the Replica. Ken was immediately on the pace of the frontrunners, beating class-benchmark Rex Wolfendenden in the bike's very first race and was quick to point out to Rex that he had just beaten him on the old tractor he had previously so derided! 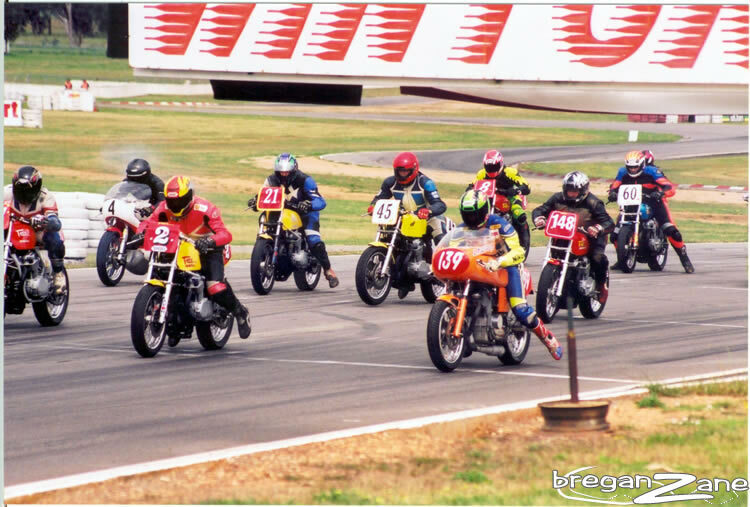 It was the first time ICR ran two bikes, Vic Vasella riding the genuine SFC - his old bike. Still very original, it had benefitted from some careful engine setup and now sported a Ceriani 4 leading shoe front brake, as used by the works SFC in 1972. Chris Cutler did an amazing job to virtually singlehandedly run two bikes at this and subsequent meetings. The meeting ran at quite a loss- sadly it had clashed with the World Superbike Event at Phillip Island - forcing the organisers into liquidation. 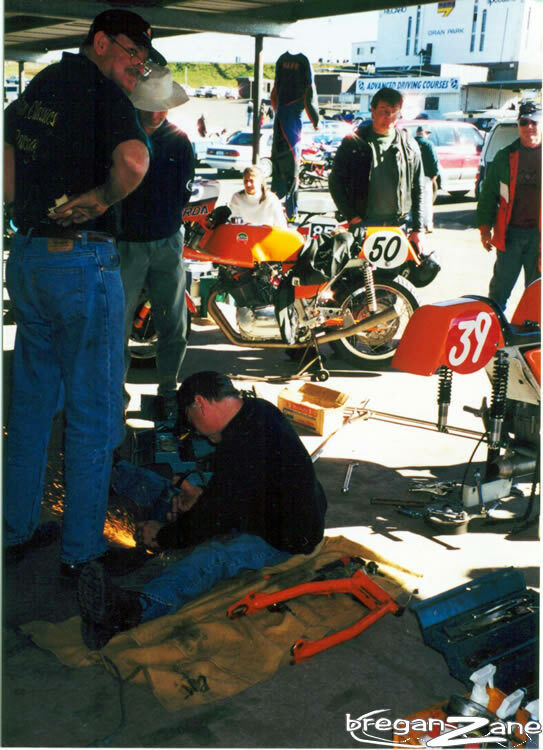 At the time of writing it would appear ICR competed at both the last street-circuit event in Australia, and the last motorcycle meeting at Bathurst. 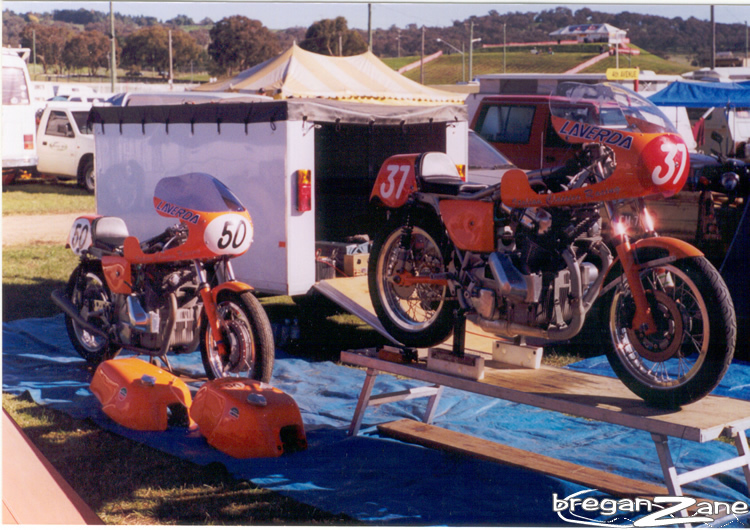 For the next couple of years Ken and the Replica were regularly at the front of the field in Period 4 Post Classic racing in Australia - at a time when all the best riders and bikes competed. 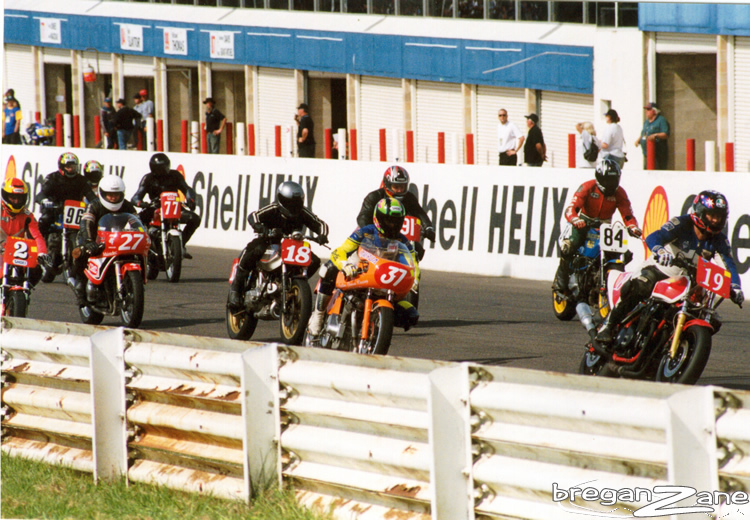 The pinnacle was in 2001 when Ken won the Australian Post Classic Championship against all the best 1100+cc T-Rex Hondas. As tends to happen in the high-pressure, low-return world of historic racing, relations between the team members fell apart at Phillip Island in 2002. Chris, Ken and Peter all went their seperate ways. Chris sold the Replica to Steve Battisson later that year, while the genuine SFC was sold to an enthusiast from Melbourne in 2004. Chris took a new direction in life and relocated to Zambia.